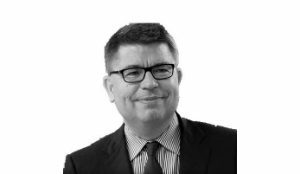 Bruno Bézard has experience in the most prestigious roles in the French civil service, spanning the economic, industrial and financial spheres, as well as in the private equity world. In addition, over the past few years he has gained in-depth knowledge of China, where he lived for several years and has spent a substantial amount of time in his current position. He also speaks the language. He was Head of the French Public Finance Administration after spending two years as Minister-Advisor in Beijing, overseeing France’s Greater China Regional Economic Department. He created, and then headed, the French State Shareholding Agency (APE), representing the State as a shareholder on a large number of company boards and acquiring vast experience in corporate governance and mergers & acquisitions. For example, he has held a seat on the Boards of EDF, SNCF, Areva, La Poste, Thalès, Air France, Engie, PSA and the Fonds Stratégique d’Investissement (FSI). He was Head of the French Treasury and President of the Paris Club before joining Cathay Capital as Managing Partner in 2016, a private equity fund that invests in startups, SMEs and middle-market companies, and supports their international development in Europe, the United States and China. An Inspector General of Finance, Bruno Bézard is a graduate of École polytechnique and École nationale d’administration (ENA), and taught at both schools for a number of years.